The Remuneration Committee chairman, Tony Ball, said: “The past year has been challenging. Although good progress has been made in a number of areas, unfortunately our performance has been significantly affected by the accounting irregularities in our Italian business, the issues that arose in Openreach around Deemed Consent and the significant challenges we faced in the UK public sector and international corporate markets. 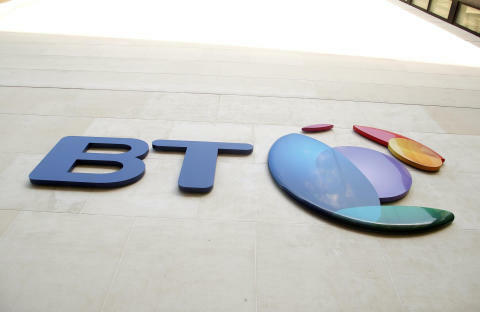 BT Group Chief Executive Gavin Patterson and outgoing Group Finance Director Tony Chanmugam will not receive a bonus for the 2016/17 financial year. Annual bonuses for 2014/15 and 2015/16 and the outcome of the vesting for the 2013 Incentive Share Plan (‘ISP’) have been recalculated to reflect the revised results. The Committee has applied the malus provisions in the Deferred Bonus Plan (‘DBP’) to reduce the number of shares previously awarded to Executive Directors, the Operating Committee members who received payments under the bonus arrangements and/or ISP, and the Company Secretary. The value of the malus reduction applied to the DBP awards for Gavin Patterson and Tony Chanmugam was £338,398 and £193,412 respectively.The malus reduction has been calculated based on the revised results for 2014/15 and 2015/16 and the values stated above are based on the share price at the time of grant. Taking into account the company’s share price performance in the financial year the level of ISP award for Gavin Patterson in 2017/18 has been reduced from 400% to 350% of salary. The Remuneration Committee also confirmed that Gavin Patterson and Tony Chanmugam understood the Committee’s decision not to award a bonus and had indicated they would not have accepted a bonus should one have been approved. The Remuneration Committee will keep under active review whether any additional employees’ awards should be adjusted. In addition, where employees have been dismissed or resigned as a result of our investigations into the issues in Italy, any shares and incentives they received have lapsed in full as a result. 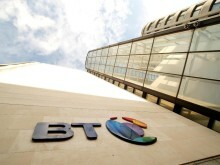 BT will release its regulatory announcement confirming the lapsing of shares under the Deferred Bonus Plan on 12 May. BT’s Annual Report & Form 20-F 2017, including the Report on Director’s Remuneration, will be published on 25 May. a The malus provisions under the DBP will be applied in 2017/18 and reflected in the single figure table in the Annual Report 2018.